Though Pune’s restaurant scene is thriving, we’ve lost a few good ones over the years. 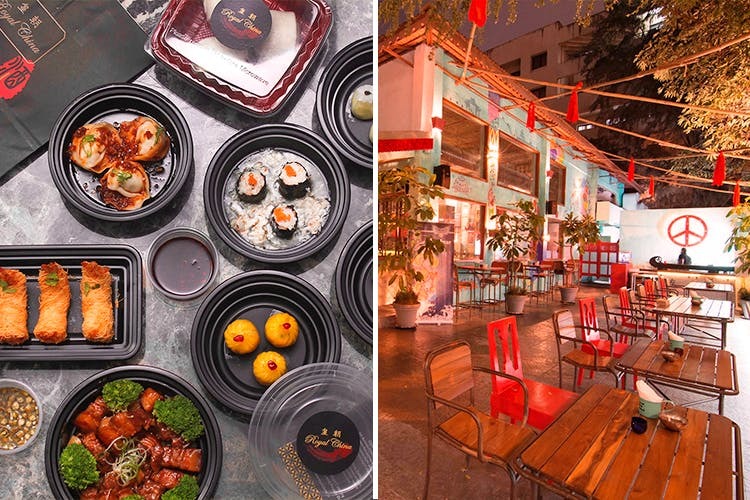 Here are a handful of our favourite eateries that we miss even now. Jimmy Hu in Koregaon Park (where The Sassy Spoon is currently located) was a great place to grab post-work drinks and hang out with friends. We loved their eclectic Asian-themed decor, and tasty bar bites that went well with their affordably priced drinks. Cafe Mezzuna at Dhole Patil Road was underrated, and (almost) always delivered on the promise of delicious food. We loved their Mediterranean-Continental fare, especially those lavish Sunday spreads, and of course – their indulgent desserts. More than just a party spot, Stone Water Grill had their own fine-dining restaurant with a menu of beautiful food by Chef Shailendra Kekade. In their second revival, we were treated to delicacies like molecular cocktails (before they were on every bar menu in the city), tenderloin carpaccio, chili-smoked duck breast, and even caramelised bacon ice cream! We have our fingers crossed for a third revival, now. Trois opened with a lot of promise – a dedicated French-inspired kitchen and wine bar, it was one of the first proper dine-in restaurants to open in the residential neighbourhood of Kalyani Nagar (where Persepolis Cafe and Bar is, now). From French onion soup and lamb Bourguignon, to a lemongrass and Earl Grey crème brûlée and and eight-texture chocolate cake; Trois had it all. Sigh!